In the old tellings, the Fisher King’s wound comes to blight the land around him, so that nothing can grow or thrive until he’s healed by a noble fool asking the right question. The actual question varies, but the most poetic one is simply: “What ails you?”. In Gilliam’s film, the land is blighted already—by rubbish and drunks, violent preppies, heartless yuppies, corporate indifference and empty cults. And Jack is wounded long before the loner opens fire and ruins his life—he just doesn’t know it yet. It’s hard to imagine a more blasted land than the one now occupied by 2DayFM and its barrel-scraping competitors. I don’t know who the afflicted king might be in this scenario—I have a horrible feeling it’s Kyle Sandilands, though Southern Cross Austereo chairman Max “The Axe” Moore-Wilton makes an intriguing candidate. But Mel and MC might suggest that their cancelled Hot 30 Countdown be replaced by a Noble Fool segment where they just call people up and ask what ails them, and how they can help. They can’t be blamed for the state of commercial radio, but they might be inspired to help fix it. Or maybe that’s just in stories. Also my favorite film in 1993 – I was living in NY by the time – ha some of my favorite scenes of the city. And I made the same connection when I read about Jacintha Saldanha’s tragedy. They were arseholes, simple truth. Lian Hearn liked this on Facebook. 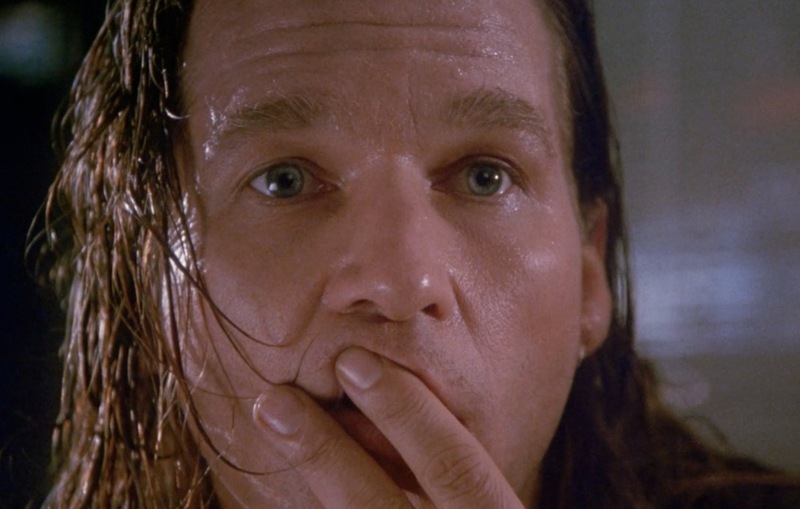 This is one of my favourite films and I’ve already covered a lot of my original thoughts on the infamous Nick blog (http://nickfalkner.wordpress.com/2012/07/11/the-fisher-king-achievement-as-journey-rather-than-objective/) but I think you make a great point here. In denying any responsibility, who could have foreseen this, they are completely missing the point which is, as you so eloquently put, that they are arseholes and that blind freddie could have seen that there was no way that this prank would not have some negative repercussions if they made any progress into the hospital. They most certainly do not deserve death threats but I am somewhat dismayed by how much they are framing themselves as victims. Moral accident is a fine defence in this case, but they are most certainly not blameless in the scope and range of the original prank – which was stupid and unnecessary. I find some of the statements from them distasteful: “We don’t get to make those decisions. Our role is just to record and get the audio and wait to be told if it’s okay or not okay.” No, you were active participants who created the original event – you have the ability to make decisions and choosing not to exercise your morals is not the same as ‘just following orders’. For want of a better word, there is an absence of an adult in the room. And, from the publicist of the radio station, “”No one has looked at the hospital; it is quite easy to blame us. The hospital were very quick to get their statement out,” Southern Cross Austereo spokeswoman Sandy Kaye was quoted as saying in Britain’s Telegraph newspaper.” Really? This is your response? That the hospital accusing you of a thoughtless and unnecessary prank is to blame? This prank should never have gone to air – the risk of damage to someone’s career or the reputation of the hospital was potentially high enough that this should have been given the bum’s rush, especially as you can imagine the nurses in question being somewhat terrified of not hanging up on the Queen! As I noted earlier in another forum, at what stage did they think that a woman in hospital with complications associated with pregnancy was fair game for them – because of who she married? I believe that the afflicted King here is us. We are all being made sicker by the wound inflicted by media hype and thoughtlessness, fame without reason (or for ignoble reason), and spectacle before compassion. Every time someone says something stupid, because they heard it on the radio or saw it on the tv, the sickness spreads. When we believe that the victims are to blame because they ‘asked for it’ or ‘they didn’t play along’ or ‘they overreacted’ or ‘they have no sense of humour’ then we are playing into the convenient sickness of the media that demands the right to tell us how comfortable we get to be with their display, mockery and parade of our tiny and insignificant lives. The wound has ragged edges though and far-reaching implications. Even the fact that the liability avoiding statements were so bland is testament to a wider sickness that is avoiding responsibility for fear of it making you culpable. You know what, Austereo, much like someone who is shooting at cans in their back yard and accidentally shoots the guy next door, it may be that you are in fact responsible for something that happened because you messed with powerful toys and did not think of the possible consequences. That’s probably why we have manslaughter and murder as separate crimes. The intentions and the outcomes can be separated but we still have to deal with both. Those two hosts had a chance to make up for their stupidity and indifference, as well as their earlier prideful posturing on the success of the prank, by saying that they shouldn’t have done it, it was stupid and they were aresholes to have done it. No-one could have foreseen the suicide but anyone could have told you that it was unnecessary and would have some negative repercussions for someone. Basically, hosts, we can’t forgive you unless you actually apologise, and while you hide behind “we’ve always pranked people” and “we didn’t see this coming” and “a big boy told me to put it on air”, you’re not actually taking responsibility for your actions. The suicide doesn’t rest with you but the buck most certainly does. Thanks, Matt, lots to think about. Sophie Dunstone liked this on Facebook. Joni Henry liked this on Facebook. Helen Ruth liked this on Facebook. Anita Planchon liked this on Facebook. Andrea Nejedlik liked this on Facebook.